Frankfurt-based Deutsche Bank backpedaled on its plan to provide loan modifications to distressed homeowners per their $7.2 billion settlement with the Department of Justice in February. Instead, the bank has been allowed to direct the consumer-relief money to making new loans, mainly to people in the areas most affected by the mortgage meltdown of a decade ago. The settlement mandates that $4.1 billion must go to eligible consumer relief as punitive damages for their part in the subprime mortgage crisis. After two years of stating it would help existing homeowners with loan modifications, the bank announced its intention to instead apply the funds to new loans. By partnering with lenders like Nationstar, Deutsche will help low- to moderate-income homebuyers and buyers who live in distressed areas secure mortgages. This decision, according to a report released by Michael Bresnick, independent monitor in charge of overseeing the settlement, might come as a blow to homeowners who were counting on aid from Deutsche. “The change in plans, however, may disappoint distressed homeowners and others, including the many individuals who have reached out to the monitor over the past two years, hoping to receive different types of consumer relief from the bank,” Bresnick states in the report. 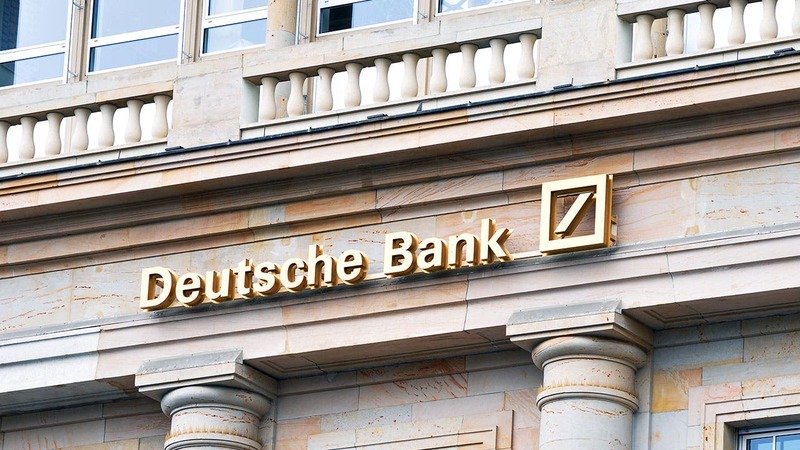 The reason Deutsche changed its tack, says Troy Gravitt, vice president of press and media relations for Deutsche Bank, is that the mortgage market started to improve after the settlement was made, leading the bank to reassess where the funds would be best used. “For Deutsche Bank, it’s an economic and efficiency argument,” Gravitt says. Deutsche’s settlement with the DOJ is divided into two parts. The first part is a civil penalty of $3.1 billion under the Financial Institutions Reform, Recovery and Enforcement Act (FIRREA). According to the DOJ, this is one of the largest FIRREA penalties ever issued. The remaining $4.1 billion is designated for underwater homeowners, distressed borrowers and affected communities. Deutsche has until April 1, 2022 to pay the full amount of the settlement or face a 5 percent increase per year. Deutsche was given four main options for satisfying its $4.1 billion obligation, according to the consumer relief annex portion of the settlement agreement. These options include various forms of loan modification, including forgiveness and forbearance; loan originations; community reinvestment and neighborhood stabilization; and financing for affordable rental housing. The settlement doesn’t stipulate a minimum amount the bank must assign to any particular menu item, meaning Deutsche can choose to put the entire amount toward one menu item or split it up as it sees fit. That’s why the bank can satisfy its entire obligation through one option which, in this case, is loan originations. However, Deutsche can’t make just any home loan to qualify for credit, there are certain borrower criteria that must be met, per the agreement. Are first-time homebuyers with income at or below 100% of the area median income as determined by the Department of Housing and Urban Development. 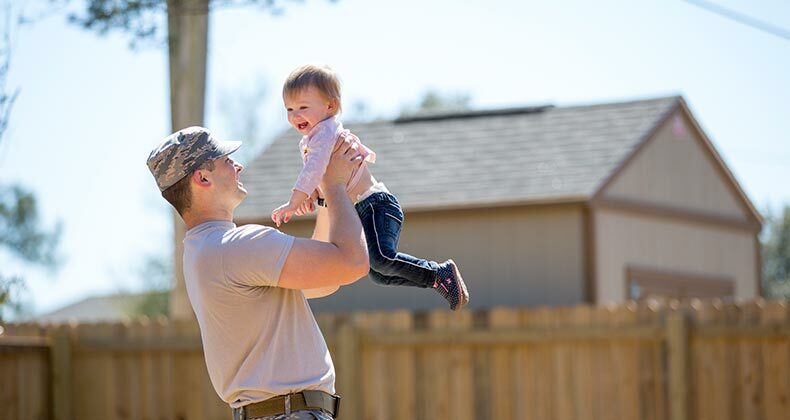 For every loan they make to one of these borrowers, they’re entitled to $10,000 worth of credit which would go toward their $4.1 billion obligation. If they originated a loan before September 2018, they were entitled to an $11,500 credit per loan. What makes Deutsche unique is that it’s the only RMBS (residential mortgage-backed securities) bank that’s settled with the DOJ and has a consumer relief provision, but doesn’t originate mortgages. Because of this, Deutsche is allowed to partner with lenders, or what the settlement calls “counterparties.” So far, the bank has used Nationstar Mortgages, also known as Mr. Cooper, and Caliber Home Loans to originate new mortgages. Deutsche has made master repurchase agreements with lenders like Nationstar, wherein the lender makes the loan then sells it to Deutsche — who holds it on its line of credit for a period of time, and then sells it back with interest to the lender. Regarding the interest Deutsche charges the lenders to repurchase the loans, there’s nothing in the agreement that prohibits them from profiting from the settlement, an aspect that’s come into criticism in the past. 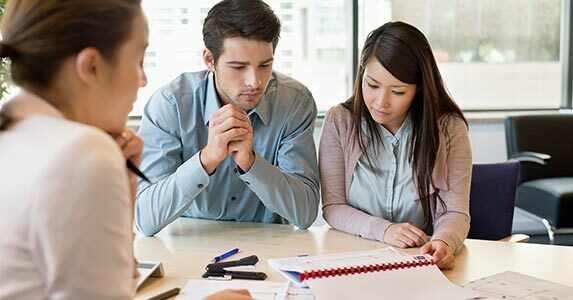 Repurchase agreements, or repo agreements, are common tools used by mortgage lenders to raise short-term capital. Essentially, Deutsche is acting like a warehouse line of credit for lenders. Part of the repo agreements, per the settlement, require Deutsche to pay the lenders $10,000 in incentive payments to originate loans that meet the settlement requirements. According to the fifth monitor report, in the second quarter of 2018 Deutsche issued a total of 51,131 mortgages. 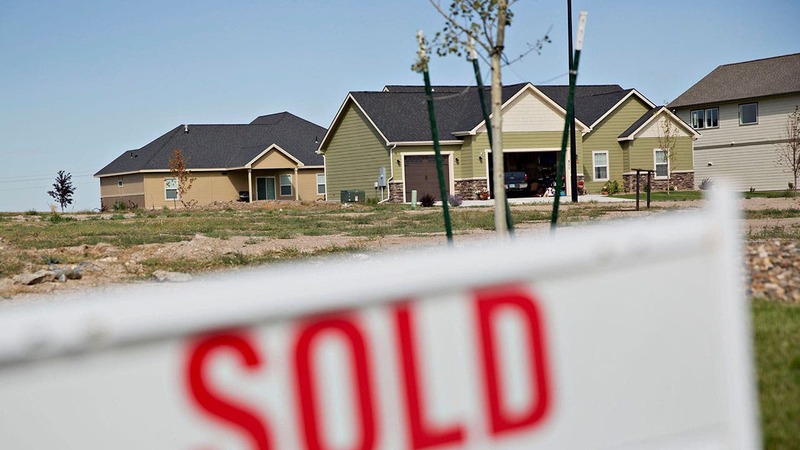 The number of home loans that went to buyers in the hardest-hit areas was 29,052. The median loan amount was $245,585 and the median interest rate was 4.25 percent. Florida and California residents received most of these loans, 20 and 16 percent, respectively. Almost half the loans, 46 percent, were originated in just three states: Florida, California and Georgia. 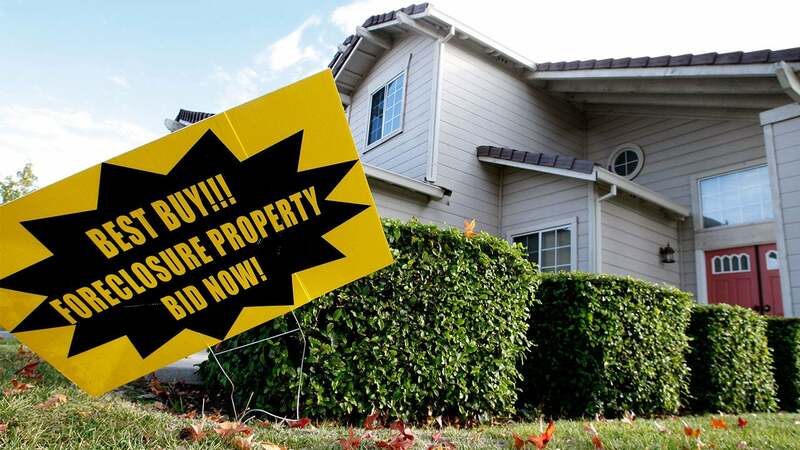 The bank also issued, in the same quarter, 22,079 home loans to low- to moderate-income buyers with a median price of $165,000 and a median interest rate of 4.25 percent. The median monthly income of these borrowers was around $4,000. In the third quarter of 2018, Deutsche originated a total of 53,117 loans. Borrowers in the hardest-hit areas received 29,343 loans, with a median price of $240,000. Again, Florida, California and Georgia residents were among the top recipients of these loans in the third quarter, with Florida leading the pack with 20 percent of loans. Some 9,754 loans were issued to low- to moderate- income first-time homebuyers, or about 18 percent of loans in Q3 of 2018. The median price of those loans was $162,011 with a median interest rate of 4.63 percent. Another requirement of the Settlement Agreement is that Deutsche bankrolls three community outreach events throughout the country, per year. In 2018, the National Housing Resource Center, or NHRC, hosted events sponsored by Deutsche in Decatur, Georgia, Tampa and Riverside, California. The events include presentations on how to buy a house, the importance of good credit, down payment assistance and loan options. They’re presented in English and Spanish, with experts on hand who also speak Korean and Arabic. Lenders, including Nationstar, are onsite to answer questions. One of the main goals of these events is to make connections with people who want to become homeowners, says Bruce Dorpalen, executive director of NHRC. So far, working with Deutsche has been great, he says. The fact that Deutsche finances these events makes them possible. It also means educating people who otherwise might not get the information they need about homeownership or the steps it takes to get there. One of the main barriers to homeownership, according to Dorpalen, is lack of knowledge. “We’ve been getting 200 to 300 people to the events. What we’re interested in establishing are relationships. Local groups will help get the word out, too. The idea is that it’s all about the reach,” Dorpalen says. So far, Deutsche has earned $1.5 billion in credit, which has solely come from new home loan originations. In total, Deutsche has backed some 130,639 mortgages.